Free SingStar companion app coming the same day. You need to download the SingStar app and use your phone to sing. PlayStation Home has grown and expanded over the past year, with an increasing number of spaces hitting the service as it continues to evolve. One of Sony’s biggest franchises, Singstar, has been known to have an upcoming Home space for quite a while with gamers and singers alike looking forward to dancing the virtual night away. 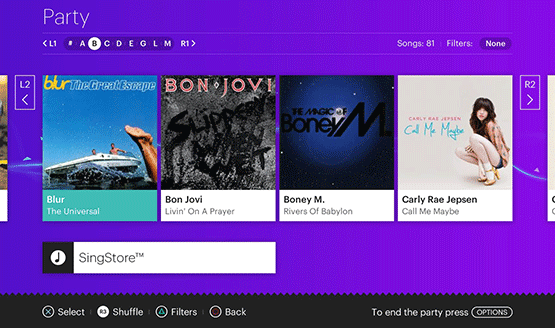 Now, Sony has announced the SingStar: VIP space as another available area for Home users. Sony has announced, on the Spanish forum of the official PlayStation site, that a new Singstar game is being made about the Spanish pop band Mecano. Mecano debuted in 1980 during the â€˜La Movida MadrileÃ±aâ€™, a Spanish countercultural movement after Francisco Franco’s death.